Mr. Robert joined Oppenheimer & Co., one of the world’s leading investment banks, in 1968 as a Portfolio Manager, and quickly rose to become the company’s President by 1979. Stephen Robert is a member of the Council on Foreign Relations and is the Chairman of the Board of Overseers of the Watson Institute for International Studies. He is Director on the International Board of the U.S. / Middle East Project, and a member of the Foreign Policy Program Leadership Committee at The Brookings Institution. Mr. Robert is also a member of the Board of Trustees of Solomon R. Guggenheim Foundation and a member of the Investment Committee of the Peter G. Peterson Foundation, and a Trustee of the New York Presbyterian Medical Center. He was Chancellor of Brown University from 1998 – 2007 and he was also a Director of Millennium Promise. 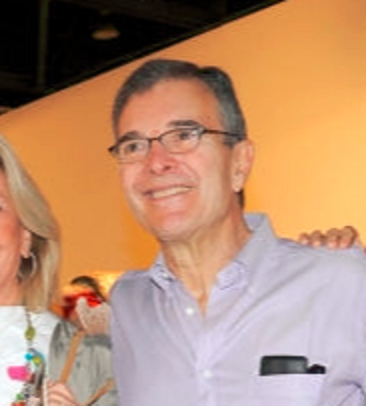 Mr. Robert and his wife Pilar Crespi Robert are the founders of Source of Hope Foundation. Its philanthropic mission is to aid desperate populations, particular in providing food, water, health care, education and micro-finance opportunities. To date, the foundation’s activities have been primarily in Africa, Haiti, Palestine, Colombia and New York City. Stephen Robert joined Oppenheimer & Co., a leading investment bank, in 1968. In 1979 Mr. Robert became president of the firm and in 1983 assumed the role of Chairman and CEO. In March of 1986 he became a principal owner of Oppenheimer through a management buyout. He resigned form the firm in 1997, after its sale to the Canadian Imperial Bank of Commerce. From 2005 to 2008 he served as Chairman and CEO of Renaissance Institutional Management LLC. Mr. Robert is a former Director of the Xerox Corporation. Pilar Crespi Robert has had a longstanding career in the fashion world. While living in Rome, she worked as Fashion Coordinator for the designer Valentino. From 1990 to 1994 she was Worldwide Director of Communications of Gucci, based in Milano, Italy. She moved to New York in 1995 to open her own public relations agency – Crespi and Mariani Associates, and sold her business in 1999. In 1998 she won the ‘Matrix Award for Public Relations’. She is now a Contributing Editor of Veranda Magazine, and the executive producer of Vlast, a documentary on Russian politics. Pilar is Vice President of the Board of Henry Street Settlement, a social service agency that serves yearly 60,000 people in the lower east side of New York City. She is on the Advisory Board of Casita Maria, a charitable organization that serves Hispanics in Harlem and in the Bronx, and a Member of the Advisory Board of the Peggy Guggenheim Collection.